Running a popular blog with a big readership has its downsides – the workload is heavy, the pressure to produce is high, the research is unending – but the advantages absolutely outweigh them. One of the best parts of all this is that I can give relatively massive amounts of exposure to causes/blogs/authors/thinkers/movements that I truly believe in. 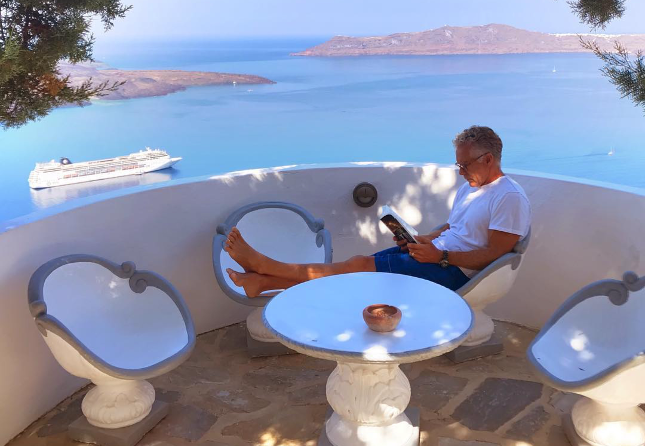 Selling books and gaining new readers isn’t everything, or even most of it; I got into this Primal health business because I wanted to change the world. We all care about something larger than ourselves, something that we wish others would care and think about, too. Well, I’m fortunate enough to be able to bring that wish to fruition on any given day, and today is one such day. Consider it a little challenge (albeit without explicit prizes). You’re a skeptical bunch, though, so I’ll tell you why I care about these projects, and why I think participating in/supporting them is a good idea. We’ve all read the various lines of evidence – clinical, anthropological – that seem to support our way of eating. 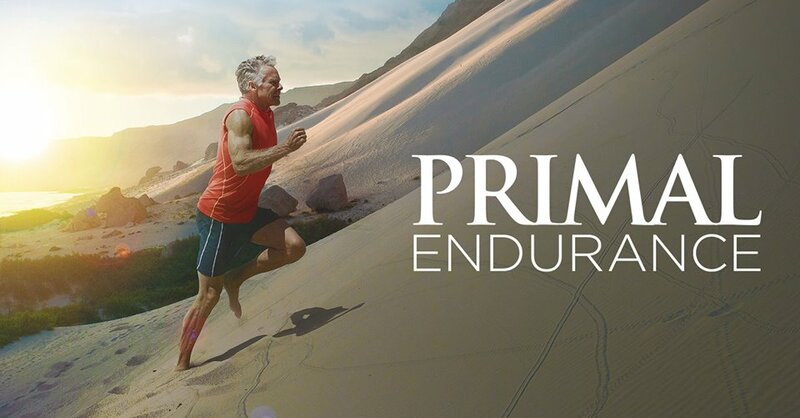 We’ve all heard and read the anecdotes on forums and in blog comment sections and from friends who finally took your advice and gave the Primal Blueprint a shot. But while anecdotes can be personally powerful when you see, read, or hear them directly, relaying them to others (“My buddy Jim’s cousin’s dog lost thirty pounds going Primal”) just doesn’t have the same effect. The goal of the Ancestral Weight Loss Registry is to collect those anecdotes, standardize them, and quantify them so that instead of telling your friend or doctor about this one guy that did this caveman thing that helped him lose a bunch of weight, you can point to the AWLR as a collection of thousands of people succeeding (or not; it’ll all be included) with a paleo, Primal, or low-carb diet. In time, with enough registrants, the AWLR hopes to identify trends in health and nutrition. What works, what doesn’t, who succeeded, who didn’t. I get no kickbacks for this. I’m not an affiliate marketer or anything like that. 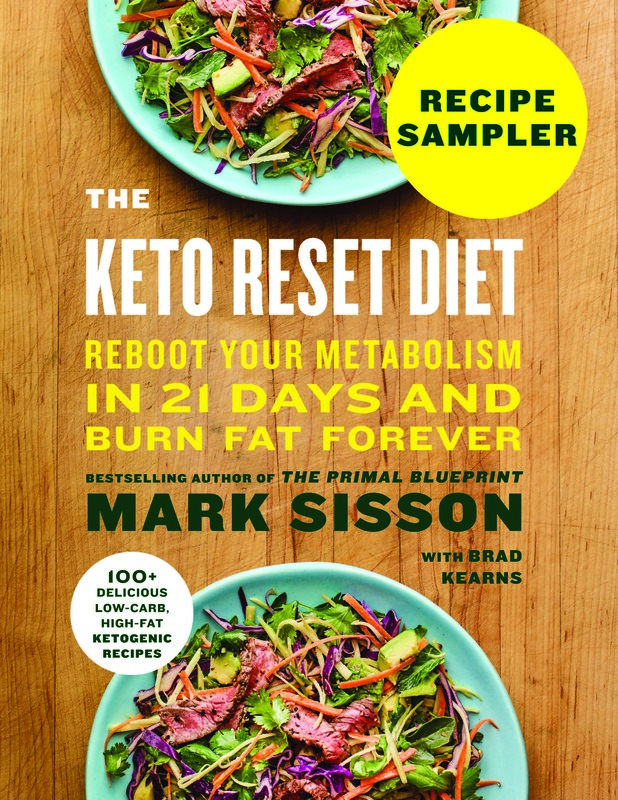 I just like the idea of amassing piles and piles of hard data from real Primal Blueprint eaters in one, easily-accessible place. If a doctor, a researcher, or even just your parents want something, anything to convince them that you may be on to something, data is how it’s going to happen. Numbers. Facts. Is it controlled food data obtained in a metabolic ward? No, but it’s a darn good start. We’re up against a lot. The other guys can just point to whatever some government institution said about a healthy diet, while our positions require reams of evidence. People like to call paleo/Primal/ancestral a diet fad. A crazy extremist fringe elitist caveman fairytale. You know, there’s a small possibility they have a point, but if people sign up with the Ancestral Weight Loss Registry, we’ll be one step closer to knowing for sure. If you want to be able to show others – and yourself – that ancestral health is not a fad, you should sign up. It’s that simple. The AWLR has about 1200 registrants, as of now. That’s not bad for six and a half months, especially considering the National Weight Control Registry’s only done 6000 in 20 years. How about we swell those numbers? Fill out the questionnaire. Answer with complete honesty (for the most accurate results). Upload before and after photos if you have them. 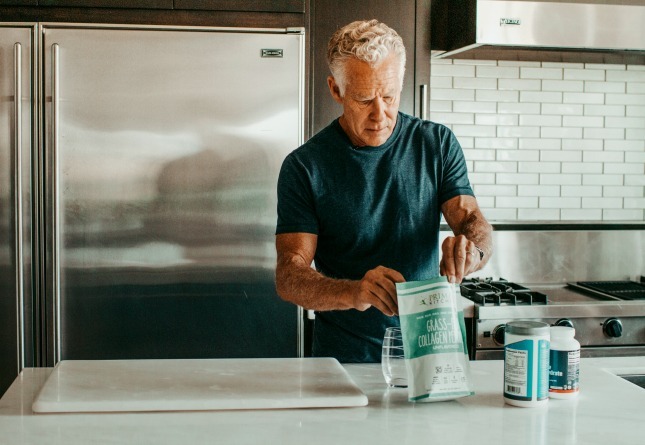 If you’ve been keeping up with this and other ancestral health blogs for the past couple years, you’re at least tangentially aware of the importance of the gut flora in human health. Still, although we know that the composition of our microbiome is important to our health, we’re still trying to figure out the many ways it affects (or, it could be said, creates) our health. We know a few things. In other words, we’re more bacteria than human. We can determine whether someone is lean or obese by looking at their gut flora. We know how the gut microbiome forms the first line of our immune system’s defenses, how it determines our sensitivities to foods, and how it is sensitive to all sorts of stressors. We also know that the microbiome has “something” to do with a range of health issues, like autism, IBS, cancer, diabetes, heart disease, autoimmune diseases… but it’s still very vague. And with our gut flora actually outnumbering our “native” human cells nine to one, we don’t know nearly enough about a crucial, incredibly vast aspect of ourselves that affects every facet of our health. In other words, we’re more bacteria than human, so we had better figure out what’s going on in there. 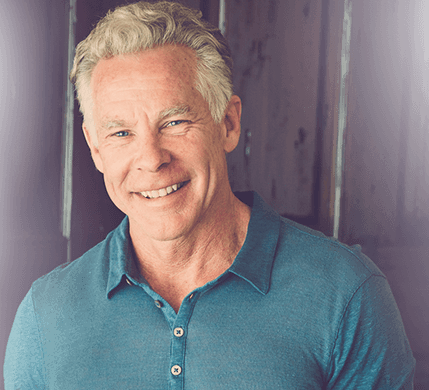 Jeff Leach of the Human Food Project thinks the key to health today is figuring out the composition of the ideal microbiome. Right now, there’s no solid, reliable reference point for a “perfect microbiome,” though. It simply doesn’t exist. What does the microbiome of an autistic patient look like? What about someone with irritable bowel syndrome? Colon cancer? How does a hunter-gatherer’s gut flora compare to a SAD dieter’s? What about a Primal Blueprint eater’s gut compared to a vegan’s gut? What we eat and how we live affect the composition of our microbiome, which in turn affects our susceptibility to various diseases, but how? How do you get from a “bad” microbiome to a “good” one? These are essential questions that we cannot answer conclusively. Not yet. But if you sign up for The Human Food Project, the world’s biggest crowdsourcing microbiome project in history, we might just get some answers. Jeff has already profiled the gut flora makeups of traditionally-living people from several African countries. Now he wants yours. 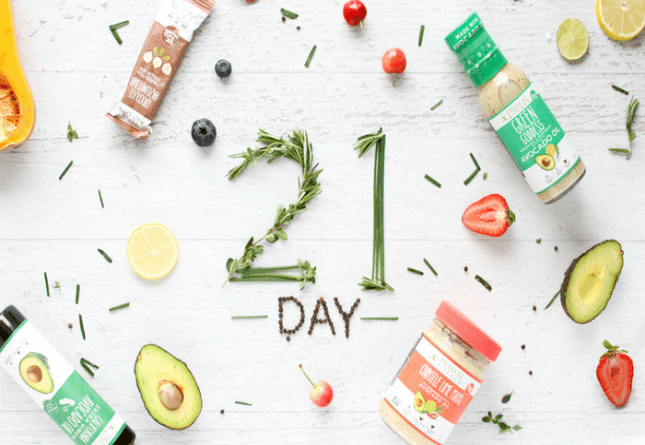 When it’s available (should be around early September), you’ll have the chance to support the Human Food Project Kickstarter campaign and – if you get in on time – learn how the composition of your own microbiome compares to that of others. I’ll be doing it, so you can compare your microbiome to mine. Fun stuff! This is important, guys, so sign up. If you need some added incentive, The Project already has over 2,000 newsletter subscribers (with only 10,000 spots available in the end), but most of them are from the vegan/vegetarian community. We need Primal microbiomes in the data set! Subscribe to the Human Food Project newsletter. Eagerly await further notification in your email. The notification will remind you to grab your spot in the 10,000. Stay tuned for Jeff’s guest post on MDA in early September for more information on the Kickstarter campaign. That’s it for today, folks. Thanks for reading and be sure to take a few minutes and sign up! < Previous postDear Mark: Should I Increase Carb Intake for Weight Loss? I subscribed to American Gut. How awesome! I’ve been researching gut microbes for my son since about 2002, but of course paid little attention to myself. I didn’t register for the AWLR, since I am so new to the PB (no after picture) nor do I have a goal of weight loss. Thanks for providing these opportunities! I appreciate all of your hard work. It might be worth doing, anyway, particularly if other health markers change between pre-Paleo/Primal and post. At the very least, you can be a “it doesn’t actively harm you!” data point. I haven’t really lost weight either, but my body composition has certainly changed and it’s easy to maintain. I wonder if that still qualifies me to register for the AWLR. Either way, it looks like it’ll be an invaluable tool for changing people’s minds about relatively low-carb, grain-free diets and paleo. Hopefully it’ll help me get my parents on board! Went all the way through the Ancestral Weight Loss Survey, but when I try to click “Submit” it says “Please correct the highlighted fields.” No fields are highlighted, and I’ve answered all the required questions. Frustrating. I just completed mine and got the same message. It’s not really “highlighted” but there was a thin red line around the boxes (questions) I did not complete so I was able to “submit” after I finished those areas. Hope this helps! I’m not sure what happened. I know that is extremely frustrating! I checked the questionnaire and it is working for others, so maybe it is possible there was a required field you didn’t notice? Maybe try on another browser if you feel so inclined to try again. Thank you for taking the time to share your info regardless! Just submitted my questionnaire! Thanks for the links Mark! I subscribed to American Gut. Since Primal/Paleo hasn’t solved my gut issues, I’d love to know more about what’s going on in there. This is a great start! Ditto!!! I had ulcerative colitis, and the SCD didn’t cure it, so I had a colectomy, and I STILL have issues, so I would pay a LOT of money to have my gut bacteria analyzed!! Right now I’m suspecting SIBO. If you ever feel like comparing notes on gut issues, I’d love to talk! Maybe you can pm me? A read of gutsense.org may be helpful. Thanks for the info Mark…love this stuff! Signed up for the American Gut. Watched the video…amazing stuff! Mark, should we sign up for the AWLS if we haven’t really lost weight on primal (started out pretty lean, mostly displaced fat with muscle)? I’d say yes, especially if you know your other health markers (lipids, blood sugar/A1C, etc) and how they’ve changed. It nothing else, you’d be a “it’s doesn’t actively harm you” data point. I went to sign up and then realized that I should at least wait until I have a doctor’s appointment in August and see what has happened to my A1c and cholesterol. Or would you want an option for people in the process of weight loss where you would remind us to upload new information every 2 months? 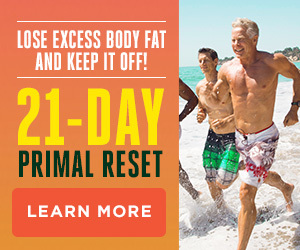 I actually lost 60 lbs or so on low carb, kept it off 4 years, gained it back over 3 years or so around menopause, and have lost about 25 of that in six months with primal without working hard at it. I was disappointed at the article on the site that paleo came in behind several other diets. I think a lot of the problem is that it’s not just Robb Wolf, Loren Cordain, and Mark that people are listening to. We tend to get so busy trying to make everyone ‘feel good’ and be so-called ‘paleo nazis’ that when certain food bloggers push constant streams of exact copies of SAD foods (Coconut flour pancakes! Honey snickerdoodles! ‘Paleo’ fudge!) anyone who voices even the slightest criticism is labeled a ‘paleo nazi’. Sadly, a diet this high in sugar really should not be technically labeled ‘paleo’, ESPECIALLY for the purposes of research. Unfortunately, there are a lot of people out there who are basically promoting a gluten free version of the SAD as ‘paleo’ and self-appointing themselves as spokespeople for the community. I know this might piss people off, and I’m sorry. I’m not trying to be judgmental and I TOTALLY understand that any progress is better than none. But if we want this way of life to be taken seriously, we should probably think about how we define it. i know it’s not a popular view and far be it from me to judge anyone. But at the end of the day, if people are eating hotdogs and coconut ice cream with ‘pure cane sugar’ in it and calling themselves paleo for the purposes of research, I think the results are going to be skewed. One of the many reasons Mark’s “Quick and Easy” cookbook is my absolute favorite! No junk food there! …sorry for the typos there. I guess that got a little ‘ranty’ because I am so confused as to why PB, Dr. Cordain’s work, and people like Robb Wolf at the forefront of this movement all clearly say sugar is bad, but somehow almost everyone BUT them seems to be pushing it on ‘paleo’ blogs and ‘paleo’ cookbooks. As long as this keeps happening, the paleo diet will never get viewed positively by studies. Sweets are the culprit. People are simply unwilling to give up their sugar, agave, aspartame, or whatever. Pick up any gluten-free magazine, for instance, and you’ll find dozens of SAD dessert recipes that have been reinvented to be gluten-free but are nevertheless chockful of sugar or some sort of sugar substitute. People who subscribe to this sort of junk might be gluten-free but they are not paleo eaters, nor do they understand what a paleo diet is. Totally agree. While vegans are reading the China Study, Skinny B*tch, and Dr. Ornish (at least that’s what I did when I was vegan) they are urged to eat mostly green veggies and some grains and legumes. However, Joe Schmo on facebook can take his/her pick from blogs by a self appointed paleo spokespeople who just does enough of the bare minimum to stop having gut pains with no regard to weight loss, longevity, etc are greeted with totally insane quantities of sweetner. 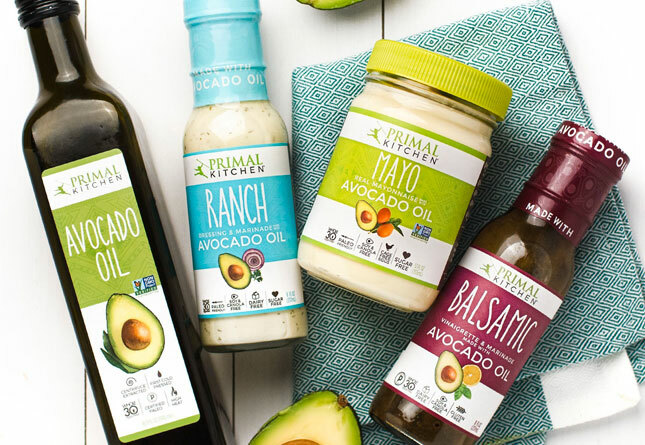 It seems like primal/paleo is gaining momentum and there seems to be this breakneck race to tell people what they want to hear and make money off it. (i.e., keep eating ice cream, cake and cupcakes because even though it has the same GI, is just as processed, and has MORE calories, it is somehow still ‘paleo’). Sorry but sausages with mashed white potatoes with a side of honey cinnamon applesauce and gluten free cupcakes for dessert is not the paleo that is going to make us look good in medical studies. I totally agree. That’s why I was so disappointed in the “Eat like a Dinosaur” book for paleo parents. Cupcakes with frosting?? No thanks. Yeah, I totally get where they’re coming from but why do they have to say “paleo parents”? From what I’ve seen it’s essentially a replicated SAD without grain. Totally respectable if that’s what you want! But just not an accurate representation of paleo and at the end of the day, the paleo community isn’t going garner credibility in medical studies or as a good tool for weight loss of random people on the internet keep making up their own version of it and then selling books about it. Just say “gluten free” or something. I can guarantee you that there are people out there who try these types of ‘versions’ of paleo and decide paleo doesn’t work because obviously, you won’t lose a whole lot of weight cooking coconut flour, coconut oil, chocolate chips pancakes banana and coconut cream on top as a breakfast food. Unfortunately when people express this opinion they are told they are being mean or something- far from it. It’s not personal, it’s just true. I like the idea of the Ancestral Weight Loss Survey, but I’m not sure it’s rigorous enough to give us comparable data. For example, it doesn’t ask you how long you’ve been doing this for! (As opposed to how long it took you to lose weight.) I’ve only been at this for a two and a half months, so it’s not a very dramatic difference, but there’s no way of making that clear. And I assume that since I’m not American, there’s no point my joining American Gut. the human food project is pretty neat stuff that i definitely think deserves quite a bit of credit. i’ve casually perused his site, but this gives me the push to learn even more about it! Hey, Just wanted to note that I am the featured story on the Blog this month. That is really me!! WOW! Great story Eric. You and your family look happy and healthy. And thanks for mentioning portion control! The AWLR is really cool. They are doing some great research over there. Although, you can’t always trust what people type into those questionnaires can you? >would care and think about, too. Perhaps I’m just paranoid, but on the AWLR is anyone else concerned about entering so much personal information on a non-secure site? I’m not talking about the nutritional stuff, I’m thinking name, email, age, income, race, zip code. Seems like that could be enough to do some damage. Less is more in today’s digitally archived world. If the database was stolen, you probably would, at most, just get some spam. As long as your bank, credit card & social security numbers weren’t entered (! ), don’t sweat it. I registered for AWLR. I’ve lost 12 pounds without trying. living in the uk, can i sign up for both? This is great stuff. I’ll definitely sign up! In line with @Gen, i’m not American, can i sign up to the human food project? I’d love to be part of the food project but I live in the UK so can’t. Do you think the project will be expanded to include other countries eventually? And let’s not forget that much of what we’re talking about as far as eating and living according to our genetic programming has a lot of support in medical literature and can be found in some of the most prestigious medical journals in the world. It’s just not mentioned by most health professionals. I have my own opinions why, but the support for this kind of diet has already been established in science and in my own mind. I also had the frustrating experience of completing the Ancestral Weight Loss Registry only to find that there was no response when I clicked on the “Submit” link. I love that the Human Food Project is located on Swallow Street!! Despite much negativity and stereotyping about vegans and vegetarians, many people benefit from eating that way and thrive for years on a diet free of meat and sometimes all animal products. Some people eat a very poor plant based diet and wither away or get fat, just like many omnivores do. 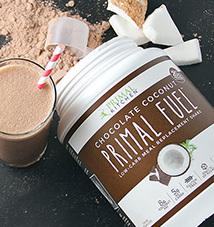 Primal eating framwork did not work for me at all, and it didn’t work for my dad either. I thrive from a “mostly plants” way of eating and so do many of my friends. Meat give me acne, wheat bread doesn’t Others seem to thrive on a diet higher in animal products, more paleo oriented. What’s your stance on individuality in finding the optimal diet? Have you considered doing a post about how sometimes it IS good for someone to go vegan, vegetarian, or another type of whole foods diet that isn’t primal/paleo. I think it would be very humble and respectable for someone who stands behind the primal blueprint to provide links/information for people that do not function well eating the way you reccomend. Kind of like a “troubleshooting” section of a user manual. Good things all around. in respect to this above comment, I meant to make it a message to mark but put it in the wrong textbox thing. Hopefulley mark will still read and consider. The basic problem with the NWLR and the AWLR is their methodology: participants’ memories. It has been shown many times that this survey method is incredibly inaccurate and any research based on it is very suspect. In addition, because participation is self-selected and without well-defined criteria for what is “ancestral eating,” the data will suffer from selection bias. I applaud Dr. Larry Istrail’s intentions, but I don’t think any respectable medical journal will ever publish results based on the data he’s collecting. By necessity, I eat a SAD diet without grains or processed food. I don’t have access to the clean foods that those of you who work close to home do. I follow PB as closely as I can but not organic or grass fed. I supplement heavily to help make up for omega 3 and IF a lot. I still have had good results, bit probably not as great as others. I don’t apologize and I fully support those who have the resources to follow PB to the letter. I think of myself as primal in spirit. Regarding being more bacteria than human, I was recently thinking about what that means for us after our human bodies die. Can the bacteria live on in soil after we rot? If they get eaten, can they continue living in the digestive systems of whatever eats them? Seems like our bacteria might give us some semblance of immortality. From considering these notions I don’t want to be cremated or have my dead body pumped full of formaldehyde or other preservatives. I’d rather be buried naturally or left above ground to feed scavengers and rot into the earth. Our community works together to sequence our microbiomes and design new experiments to see how diet and lifestyle affect our health. We’re international and quite economical. Now is the best time to take your first microbiome data point! Great post. I am on paleo diet for almost 4 years now and feel great. i recomend this to everyone!